I run a business, and I set up two forms (for clients to fill out), and tonight, I had to reset my password. When I typed in my new password it's telling me my account is suspended. 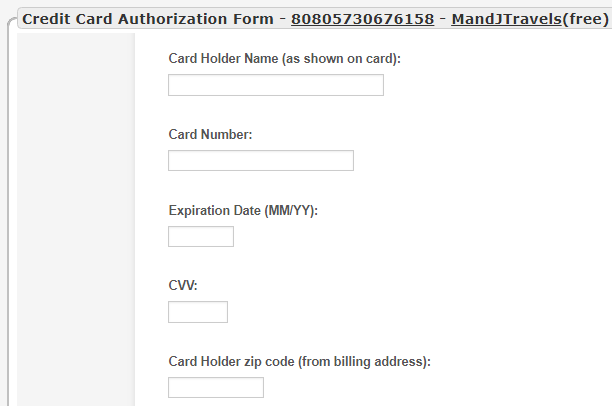 You have created Credit Card Authorization Form requesting for credit card details. Card number, expiration date, security codes and card holder name are considered critical information. The only services allowed to collect such data are those that are DSS/PCI certified. 1. Integrate your form with any of our Payment integrations. 2. You can take advantage of a feature inside of most of our payment integrations called "Authorization Only" which allows you to collect payments manually at a later time. Here is a more detailed guide on how to do this: How-to-Enable-Payment-Authorization. For now we have removed the guilty fields on your form and reactivated your account. Please refrain from making fields like this to avoid account suspension.